Posted on February 20, 2017 by Emily Allbon. 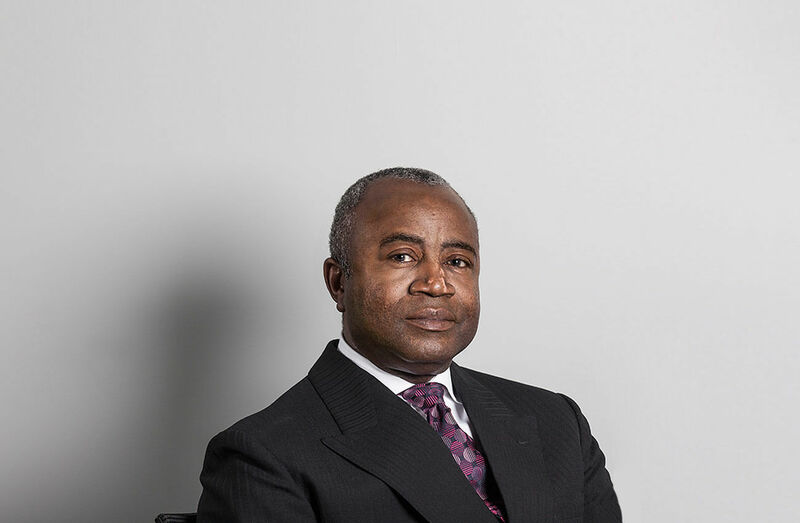 Courtenay Griffiths QC is no stranger to high-profile criminal defence work, having worked on numerous terrorism cases, the Damilola Taylor murder trial for 5 years and defending the former president of Liberia, Charles Taylor in The Hague, Netherlands. 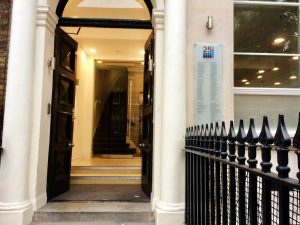 City Law student Christianah Babajide’s interview provides a unique insight into the barrister’s wide-ranging practice in domestic and International Criminal Law at the chambers of 25 Bedford Row. Interests: History, Sociology and Politics. I also chair a mentoring charity in Lewisham, where I live, called Urban Synergy. What inspired you to be a barrister? 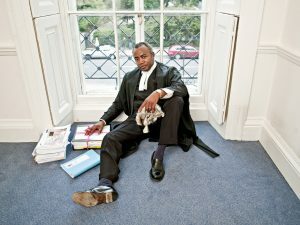 My father inspired me to pursue a career in law with stories of the first president of Jamaica, Norman Manley QC. But, in addition, I have always loved arguing and debating and I also love the sound of my own voice. I’ve wanted to become a barrister since the age of 11. As a criminal silk, you have developed a diverse practice in big-ticket criminal cases. What have you learnt, from dealing with domestic and international cases? The most important lesson I have learnt is the need to be adaptable. This is because of the nature of practice at the Old Bailey, for example, differs greatly from the way in which cases are conducted in the international courts in The Hague. Whereas certain aspects are quite novel to us British barristers, for example, arguments which would be dealt with orally at the Old Bailey, whereas in the international court, you are expected to put everything in writing so that the judges have enough time to come to a decision, that seems to me to be fairly straightforward. One thing I have learnt from my experience is that British trained barristers have a forensic advantage over their continental colleagues, we know how to cross-examine in a way in which they don’t. What are the key differences between being an advocate in the criminal courts in the UK and your international criminal practice? My approach to practising law has always been to look to see what the underlying causes are, of a particular legal issue. One of the particular lessons I learnt, especially in defending Charles Taylor, is how important politics and global politics are, in the way in which international tribunals decide who to prosecute and also what are the global political conflicts which are reflected in that particular prosecution. Understanding that political reality in the international arena is a very important aspect to bear in mind. You were Mr Taylor’s defence barrister in his murder trial in 2012. Was it difficult defending your client, with so much controversy and politics of power? Charles Taylor was charged with war crimes and crimes against humanity and of course I had no moral dilemma, despite what he was charged with, in defending him, for the simple reason that I was merely doing my job. As a defence advocate, I am not there to judge the immorality of my client, I believe that is the job of the judge and the jury. I am merely there to present a case, therefore I had no moral dilemma in defending Charles Taylor, or even other serious criminals. During the “Blood Diamonds trial”, the Evening Standard said you grabbed their attention by your “flamboyant style, tenacious questioning and deadpan quotes.” How do you think your advocacy style has developed over the years? One of the things I have learnt over the years is that being extremely gentle can be far more effective than shouting at a witness. I have also learnt the need to be concise and straight to the point if you are to keep the jury’s attention. Nothing bores the jury more than the advocate who seeks to project his own personality as opposed to defending his client’s case. Juries are smart enough to recognise when an advocate is putting on a show rather than dealing with the issues that have been raised. Focus is very important during cross-examination. What is your most memorable case and why? I have had many memorable cases but Charles Taylor has to come first, if only because of the length of the amount of time it took out of my life. That case was scheduled to last for 18 months but I ended up being in The Hague for 5 years in that case. Inevitably, it is the most memorable case. You offer advocacy training at your Inns of Court (Gray’s Inn), which area of advocacy do you most think BPTC students need to improve? I think the most difficult skill for the advocate is an examination in chief because leading a witness, be it as a prosecutor or as a defence lawyer, is the most difficult skill. This is because it has to be done without asking a leading question. Firstly, it has to be a question and one would expect it has, to begin with, one of the big W’s or How. It is very difficult to be able to do this and also obtain a coherent logical account from the witness. Cross-examination is also not easy because it needs to identify if you need to ask the witness the question at all and is only done for a specific reason. Students should get into the habit of writing coherently and logically because a good modern advocate needs to have good writing skills within their armour. What is a typical day for a Barrister like? Get up at 5.30am, check my emails, leave the house at 8.30 to get to the Old Bailey for 9.30. Go down and see the defendant in the cells for 20 minutes, in court for 10.15am, the morning session in court would end at 1pm. Grab some lunch, go down to the cell at quarter to 2 to see the defendant, back in court at 2.05pm, court closes at 4pm, come into chambers to pick up paperwork, be out of chambers by 5.15, home by 6pm and be in bed by midnight. As a criminal barrister, I do most of my work in the courtroom. A career at the Bar is known to be demanding, how to do you divide time for your family and friends? Put it this way, I wouldn’t marry a barrister. There have been many occasions where dinner or holidays have been booked and because my case starts over-running, I can’t make it. This means my wife and kids have to go ahead without me and I plan to join them later. I always try to compensate this by having a holiday with just my children, without my wife, and we always have a fun time! 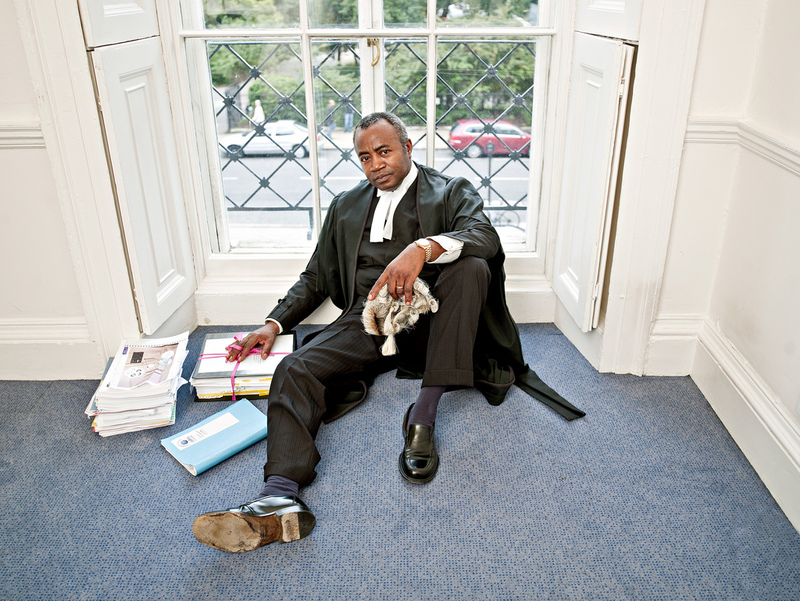 What are some of the rewards and realities of being a criminal barrister? The rewards are you sometimes have a grateful client who has been acquitted and gained their freedom. The downside is when you are defending an 18 year old black individual who has just been convicted of murder who probably won’t see the streets until they are 50 years old. It is a fairly heavy burden, especially when it comes to comforting the defendant’s parents, especially as a black parent myself. But one of the things I am very good at is not taking my emotions home with me. I don’t believe you can do your job properly as a barrister if you get emotionally attached to a case. If you had one wish to change something within the legal profession, what would it be? I would change the nature of legal education. No one would be allowed to leave school and go straight to university to study Law. What advice would you give to an aspiring barrister heading for the criminal Bar? First off, aim for the highest best degree possible, having already got all the highest grade you can at GCSE and A-Level. Develop interests outside the legal profession. Also, read anything you can get your hands on, be it newspapers or novels. Reading will help mould you into a good advocate. If you weren’t a barrister, what would you be? I used to be a DJ and I am into serious Reggae music. Having access to Jamaican cuisine. 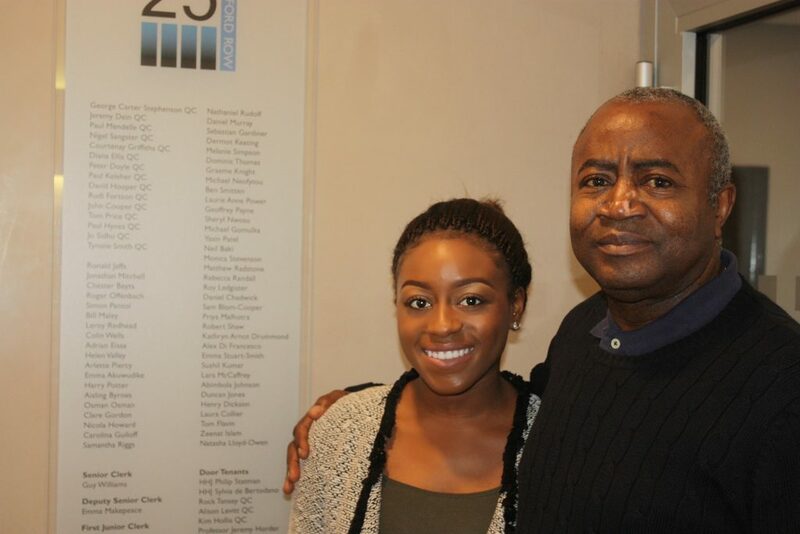 With special thanks to Courtenay Griffiths for his valuable time. 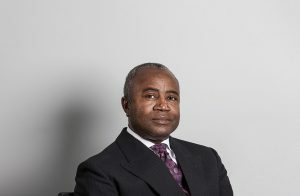 Courtenay Griffiths practices from 25 Bedford Row Chambers, who were recently voted ‘Crime Set of the Year’. He also sits part-time in the Crown Court as a Recorder. More information can be found via the 25 Bedford Row profile and on LinkedIn.